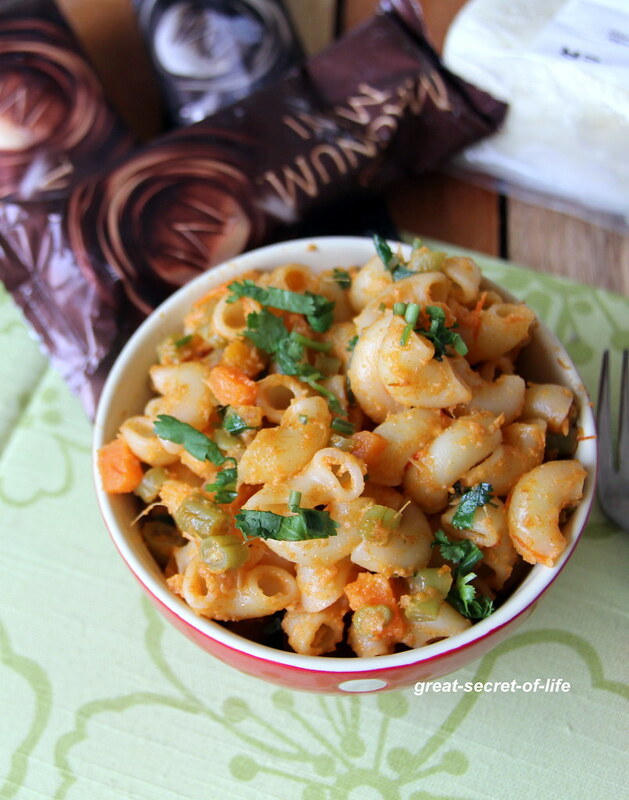 I wanted to try this Paneer Macaroni for so long.. Macaroni is one of the most favourite dish for my kids. I always use parmesan cheese in making pasta / macaroni. But I don't like the sticky sticky texture.Esp after it cools down. So I seldom pack it for lunch. I made paneer and it was so soft that I thought of adding that to Macaroni instead of regular cheese I use. 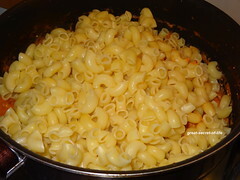 First question my son asked me when I served him the macaroni was why no cheese today. I asked him to try it out. He said he loved this taste. This one can be good lunch box recipe for your kids...So try this out. 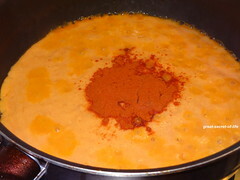 Heat grinded paste with chilli powder in a pan. 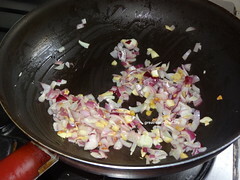 Add sliced vegetables. 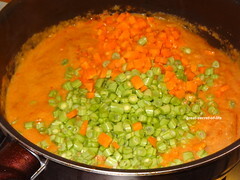 Close the lid and cook the vegetables. 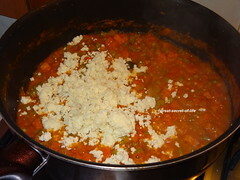 Paneer lovers favorite recipe! Looks really good. A super duper comfort treat! mmm wow! looks so delicious! 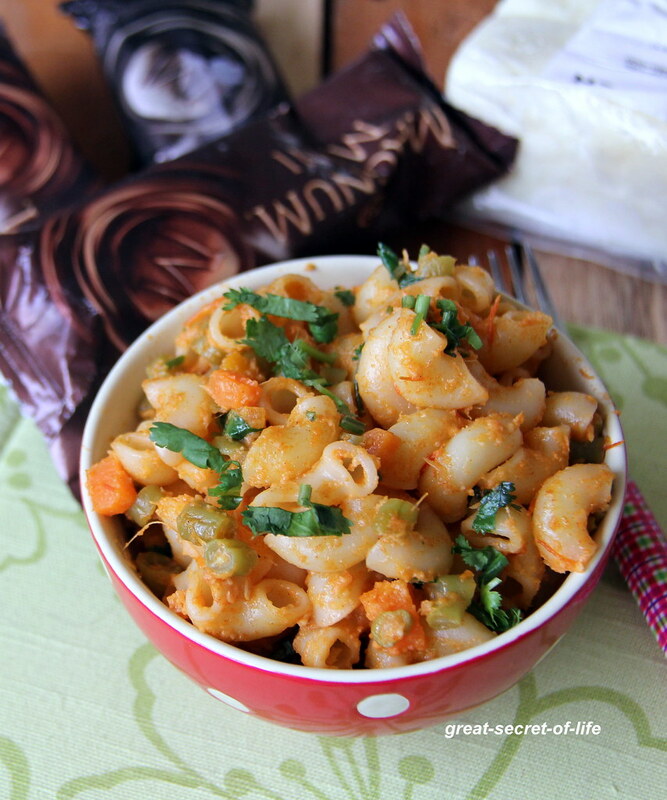 Paneer macroni looks delicious veena love it. Looks very delicious.. 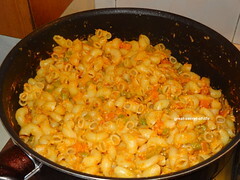 Kids would love this..
Nice combo.. macaroni and paneer both are so versatile.. Wow!! Lovely combo of paneer and pasta!! 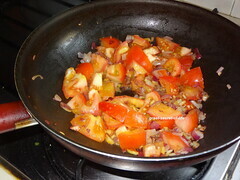 Oh u are into fusion cooking in a big way keep it coming dear..enjoying all the combinations. 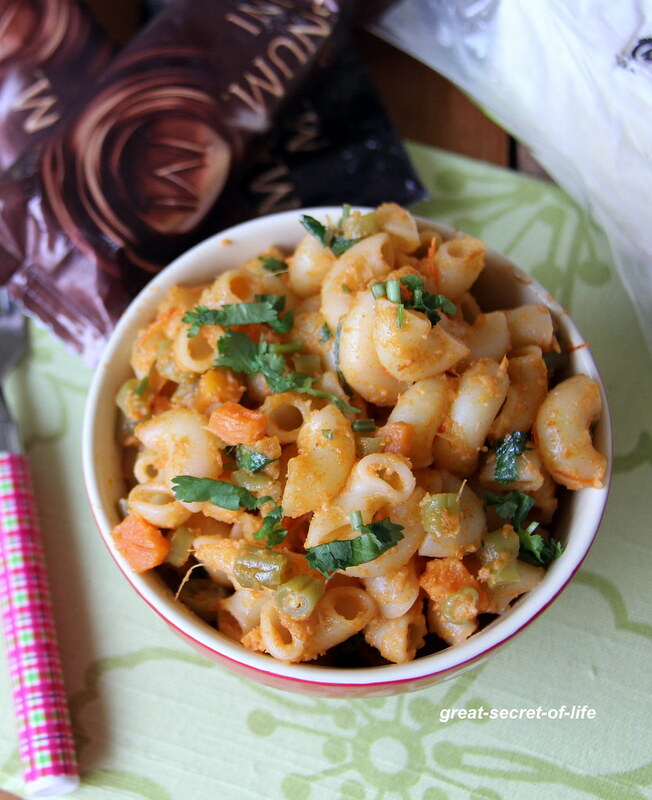 love the idea of macroni with paneer. will be quite a welcome change from the regular cheese macroni.